Football has begun, the leaves are changing and the kids are back in school. Clearly, it’s time to start thinking about Christmas. Some of you are reading this on your phone while waiting in line at Starbucks, preparing to buy your first Pumpkin Spice Latte of the season, but it’s time to start thinking of peppermint mochas instead. Even if you’re the “Bah, Humbug” type of person who regularly posts Facebook rants about the neighbors putting up their lights before Thanksgiving, making financial plans for the holiday is still a really good idea. It might be too early to hang a stocking, but it’s never too early to sock money away. Question: How much will I be spending on the holidays this year? Answer: Recent studies have pegged the price of the holidays at roughly $300 per child, while one in 10 shoppers admit to spending over $500 on gifts for their children. Overall, Americans spent about $600 billion on Christmas last year, which comes out to around $2,000 per person. This includes decorations, hams, ugly sweaters, and whatever else you tend to buy. That’s a lot of money. Question: Ugh. Why are we even talking about that money now? It’s not even Halloween! Answer: Halloween is exactly why we should make plans now. 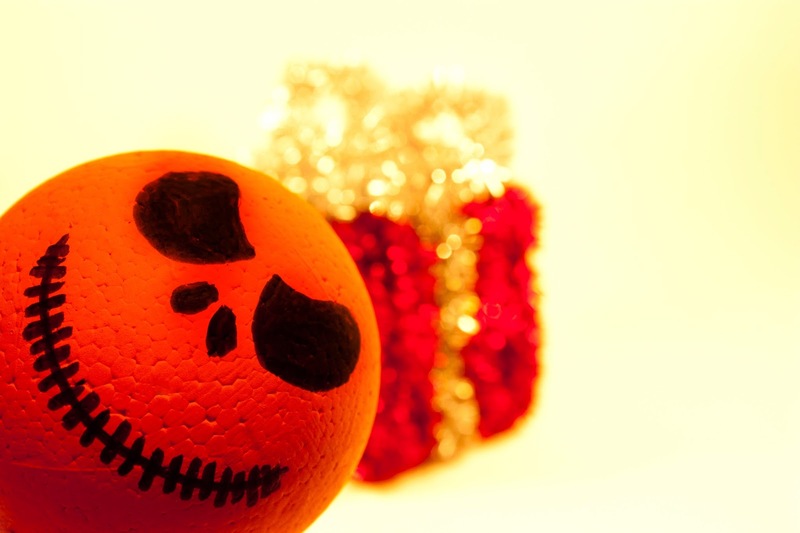 Since 2005, American spending on Halloween has spiked. Last year, we spent about $7 billion on Halloween, including $350 million on costumes for our pets! It’s easy to overspend in October, let that lead into an indulgent Thanksgiving in November, and then find ourselves putting all our Christmas spending onto a high-interest-rate credit card. Planning ahead is a necessary step to prevent you from a holiday hangover in the New Year. Question: How bad is it to put Christmas on a credit card? Answer: It might be worse than you think. It’ll cost you about $200 per month to pay off an average Christmas debt in time for next year if using a typical high-interest credit card. And if you don’t pay it off by next year, you’re suddenly trying to pay off two holidays at once. That’s bad news. Even if you think you can handle the extra debt load, remember that the Fed just raised rates, and it may do so again. Whenever it does, you can expect your credit card bill to go up. On top of all that, paying around $400 in interest charges and fees over the course of the year is still $400. That’s probably enough money to turn your average Christmas into something worthy of a televised Christmas special. If you have to use a credit card, make sure it’s a low rate card like your Destinations MasterCard. Question: Is it too late to get ahead for this year? Answer: Not at all. You have a lot of options to save yourself from your own spending. You can sign up for a Holiday Club account, a High Yield Account or a variety of other plans. But that’s not the only approach. You can also get ahead of the rate hikes by moving all of your credit card debt into a home equity loan (check out our rates) or signing up for one of our low-interest credit cards. But even all those options don’t represent all the various ways to save money. Remember that Christmas spending doesn’t have to be an all-or-nothing proposition. You can combine savings, credit cards and budgeting to attack the holiday from several angles. Start now, and by Christmas you’ll have a well-stocked war chest, or in this case, toy chest, to give you a variety of options. Question: What about the holidays between now and then? Answer: Between Halloween and Thanksgiving, Americans spend around $150 per person on average, which is far more affordable than Christmas. But that can still add up quickly, especially in larger families. It can also be difficult to tighten the belt at this time of year, because it can mean less candy and less family time for the kids. If you’re worried about this spending, one way to rein it in is to make a combined holiday budget you pay into every month. Figure out how much you plan to spend on birthdays, holidays, anniversaries and the like, then divide that by 12. That’s how much you need to put away every month. Does that sound like a lot of money? Then you can cut down all year long. Maybe you don’t need to send birthday gifts to as many people or your anniversary can be a smaller occasion this year. The bottom line: If you start planning ahead, you can keep your holiday spending from being an obstacle to your financial future.